Not much going on except lots and lots of reading/writing/studying in general. Previous Article A Dose of Snarky. In completely unrelated news, I nominated you for the “Sunshine Award,” if you’d like to play along. 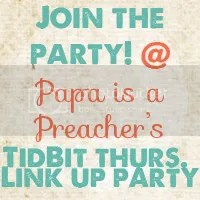 PS – I'm going to link up to your party now! Thanks for taking the time to do this every week, especially when time's so precious.